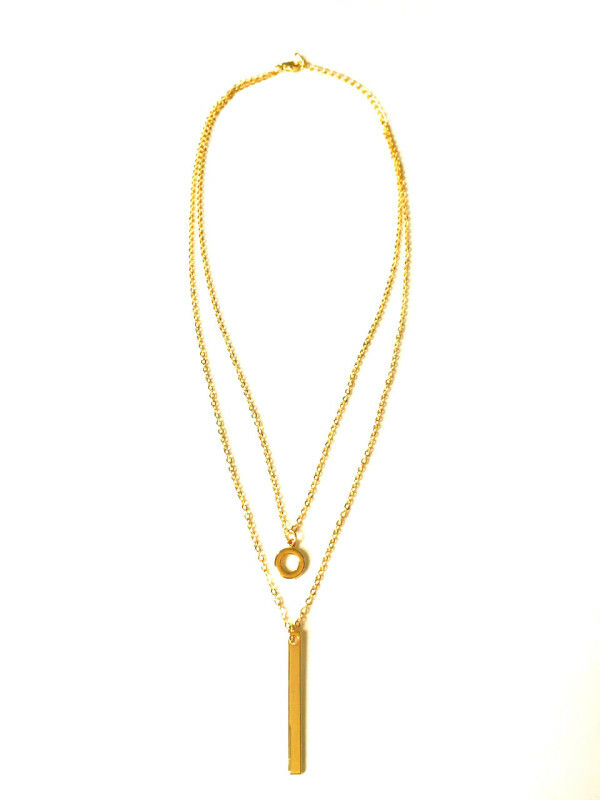 Tags: gold, Layered, multilayer, necklace, Vertical bar. 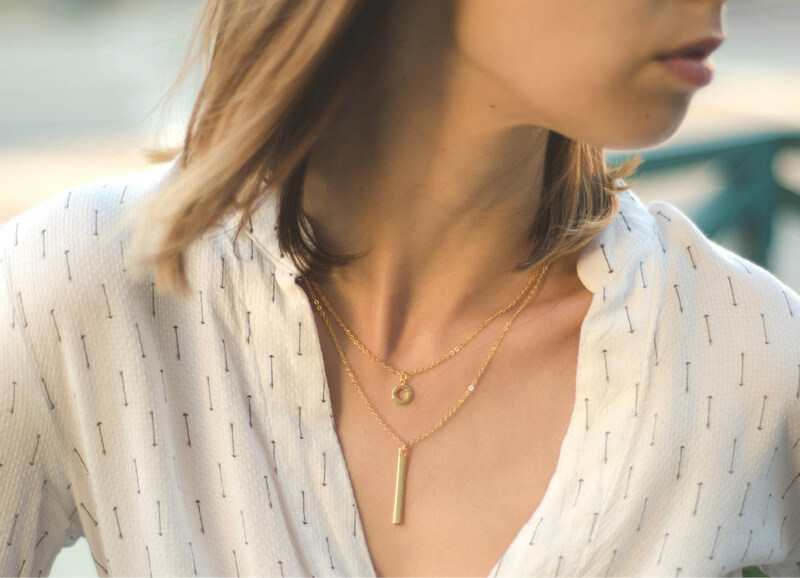 Delicate and dainty, this minimalist gold plated multi-layered necklace displays a circle and vertical bar pendant. It’s no fuss, no frills, and perfect for layering with other pieces.